Unique Expressions, LLC has been in business since 1999, providing marketing and communication products, corporate business gifts, and creative marketing solutions. To become successful in this industry, you need an eye for detail and a passion for offering the highest level of service. Because we have these qualities, our company has a proven track record of providing a variety of innovative ideas and quality products with on-time delivery. We care about keeping our customers happy and doing the right thing; our company's growth is due to recommendations from those existing customers. 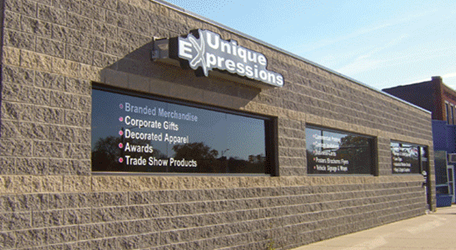 Unique Expressions is a 100% minority-and-woman-owned business enterprise certified by the Michigan Minority Supplier Development Council (MMSDC). We are proud recipients of the MMSDC 2011 Supplier of the Year Award and of the National Minority Supplier Development Council (NMSDC) 2012 Regional Supplier of the Year Award. Unique Expressions augments its for-profit work by giving back through employment, charitable events, and sponsorships; this positively enhances our visibility in the communities in which we operate.